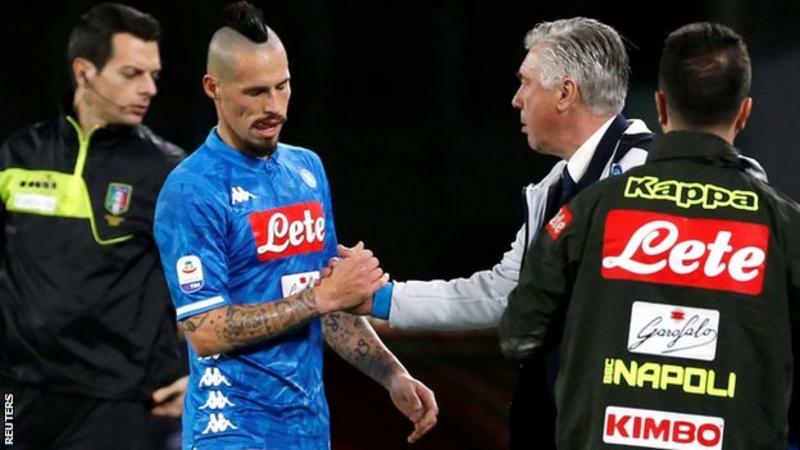 Napoli manager Carlo Ancelotti says the club's all-time leading scorer, Marek Hamsik, is "in talks" over a possible move to China. Hamsik, who has scored 121 goals for the club, started Saturday's 3-0 win over Sampdoria. Ancelotti said the club has "great respect" for the Slovak midfielder who has made "history". "Talks are in progress," said the Italian. "If he wants a new experience, we are inclined to make it happen." The 31-year-old joined Napoli from Slovan Bratislava in 2007 and became the club's leading scorer in December 2017 when he overtook Diego Maradona's record of 115 goals, before overhauling Giuseppe Bruscolotti's total of 511 appearances in November. Napoli to receive ��15 million while Hamsik’s salary will be ��9 million a season, according to @DiMarzio. After Napoli announced yesterday that deal with Dailan had stalled, Marek Hamsik decided to skip today’s training session at Castel Volturno. The partenopei’s captain decision was made so he could have some time to reflect after a series of stressful days and to see if a solution between the clubs could be found. Marek Hamsik and Emmanuel Boateng are both on the verge of joining Dalian, who are adding players from across Europe. For Boateng, a deal for the 1996-born Levante forward is substantially completed with negotiations happening in Spain. Hamsik, after the events of Wednesday put the deal in flux, the deal is currently in a very advanced sage and will close upon the completion of a bank transfer. 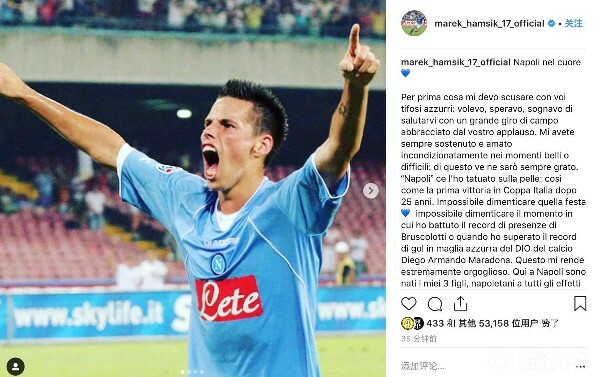 De Laurentiis will receive his ��20 million upfront payment: Dalian have guaranteed since Friday that they want Hamsik, and the deal could close at any moment. Hamsik awaits in Slovakia, and will fly to Madrid to take his medicals. The deal is nearly over the finish line.